In a significant ruling which will benefit companies, the National Labor Relations Board last Friday revised the test it uses for determining whether workers are employees or independent contractors by making it easier for entities to classify them as contractors (SuperShuttle DFW, Inc.). The decision throws a roadblock into unionization efforts involving such workers, as federal law does not permit independent contractors to unionize or join forces with employees in organizing efforts. What do employers need to know about this development? The workers had no set schedule and could choose the number of hours or days they worked per week. They could work as much — or as little — as they wanted, whenever they chose to do so. They were then entitled to collect all the money they earned for completing the assignments they selected. They were also permitted to hire their own relief drivers to operate their vans if they so chose. 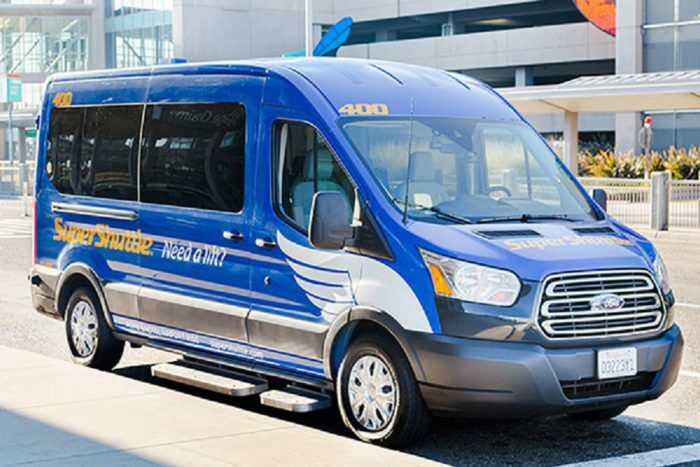 The Amalgamated Transit Union sought to represent a unit of SuperShuttle DFW drivers, including those who signed an agreement to operate as independent contractor franchisees. Given the status of these workers, the company objected and contended that they should be precluded from organizing into a union due to their being independent contractors. The union cited a 2014 Obama-era NLRB decision that “refined” the independent contractor test and made it easier for such workers to be classified as employees. Friday, the NLRB overturned that 2014 decision and returned to a more balanced standard, one that gives more of an equal weight to both the right-to-control aspects of the relationship and the role of the workers’ entrepreneurship in operating their own businesses. The 2014 decision did much more than “refine” the independent contractor test, according to Friday’s majority decision. Instead, it “fundamentally shifted the independent contractor analysis, for implicit policy-based reasons.” The NLRB said that the earlier ruling selectively overemphasized the significance of the various factors that determine whether a hiring entity has a “right to control” the worker, adopting somewhat of an “economic dependence” test. While there were several common law factors that pointed to employee status — the fact that most drivers did not engage in a distinct business, worked as part of the hiring entity’s regular businesses, and did not have any particular skill or specialized expertise to perform the work — these were outweighed by the multitude of other factors. It is important to note that the Board majority expressly states the entrepreneurship question should not be applied in a rigid and mechanical manner and serve as an end-all-be-all factor in the analysis. As the board said, it should not be treated as a “superfactor,” an “overriding consideration,” a “shorthand formula,” or a “trump card” in the independent contractor analysis. Moreover, Friday’s decision does not impact the contractor analysis enforced at the state level, or involving other federal agencies, so businesses should still proceed with caution. If you have a workforce that consists of independent contractors at all, or you are interested in determining whether portions of your workforce could be properly classified as contractors under the new standard, you should consult with your Fisher Phillips attorney or any member of our Labor Relations Practice Group. This article is a reposted Legal Alert from Fisher Phillips. Steve Bernstein is a partner in the Tampa office of the law firm Fisher & Phillips. Steve maintains a traditional labor practice in which he represents employers throughout the United States in both state and federal courts, as well as before the National Labor Relations Board (NLRB), the U.S. Department of Labor (DOL), the Equal Employment Opportunity Commission (EEOC), and other state and federal agencies. In the process, Steve has played a primary role in advising clients on union-related matters. Steve has also acquired a sophisticated level of experience with regard to advising clients on compliance with the Worker Adjustment and Retraining Notification (WARN) Act, the Uniformed Services Employment and Reemployment Rights Act (USERRA), the Family and Medical Leave (FMLA), and the Americans with Disabilities Act (ADA). A significant portion of his practice is devoted to the implementation of preventive employee relations programs that include supervisory training as well as the development and administration of effective human resources policies and practices. Rich Meneghello is the managing partner in the Portland, Oregon office of the law firm Fisher & Phillips. He focuses much of his practice on disability discrimination defense issues and was the lead associate attorney before the U.S. Supreme Court in the 1999 case of Albertsons v. Kirkingburg, a decision interpreting the Americans with Disabilities Act in favor of employers. Rich also defends claims of sexual harassment, gender discrimination, workers compensation discrimination, public accommodation, race discrimination, retaliation, wage and hour violations, and family and medical leave discrimination. Contact him at RMeneghello@laborlawyers.com.